This is a tool I bought to do specific job. 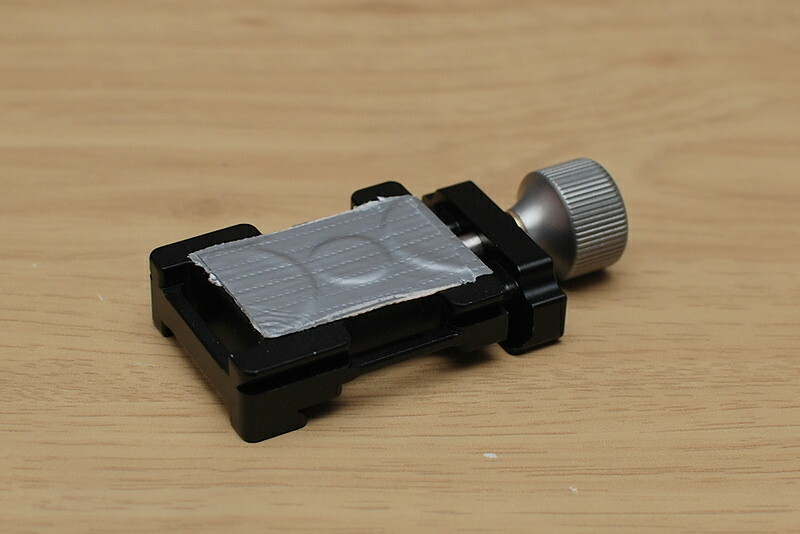 It is basically a smaller-size Arca-Swiss style clamp, and it can be screwed onto a tripod head to be used the normal way. But it also has some mounting slots for camera straps. And at the bottom is the reason I bought it, it has the dovetail grooves for mounting into another Arca-Swiss type clamp, and it rotates the clamping direction 90-degrees. I won't review the strap slots, I will not be using it that way. But a person can use it to attach a camera or other gear to a neck strap or a sliding-sling rig. It would clamp to an Arca-Swiss type plate attached to a camera or lens. But my purpose is to use it as a 90-degree adapter. 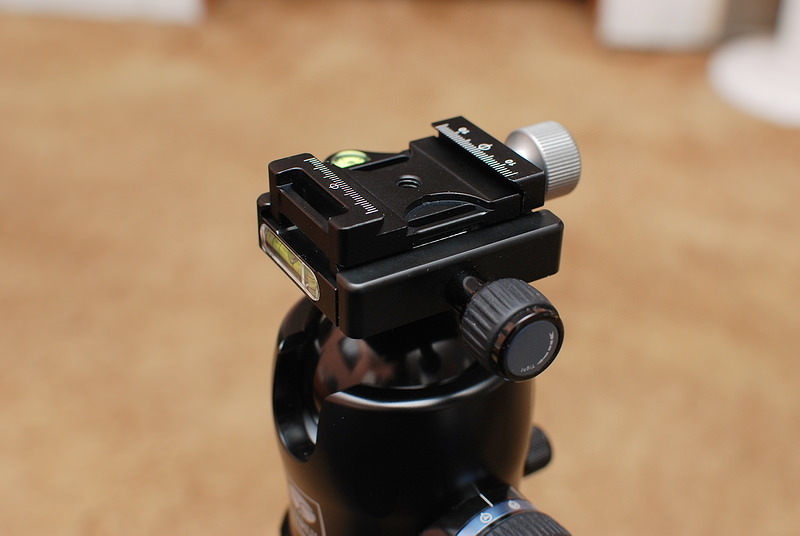 In a separate reviews I have a monopod tilt-head and also L-brackets for my DSLR bodies. Unfortunately the tilt-head clamp is aligned to use a plate that slides forward-backward such as how I would mount a telephoto lens with it's own mount adapter. 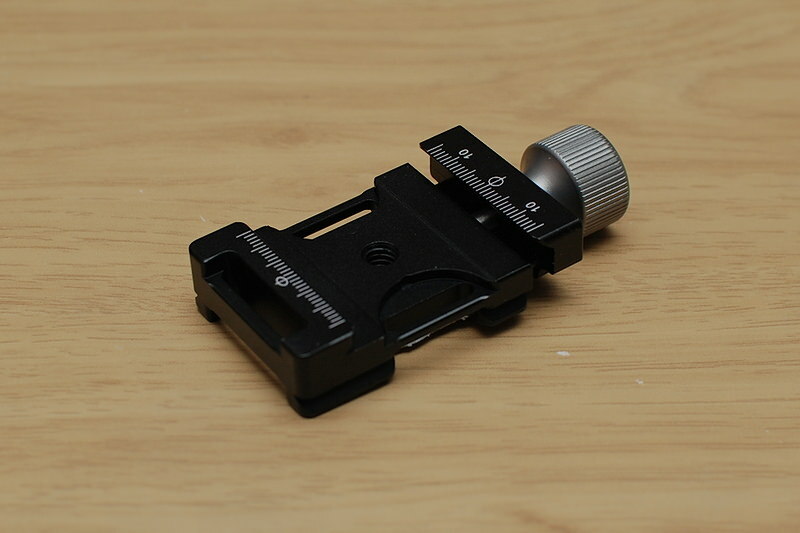 But if I want to use with a shorter lens and have to mount the camera body directly, my L-brackets are orientated the wrong way and the tilt-head would tilt side-side instead of up-down. This adapter clamp goes in-between and makes it work right. However... a test fitting revealed that the Chinese were not paying attention to detail. I could clamp it fine in other clamps I bought, but the monopod tilt-head clamp just could not quite tighten down on it. The adapter slid kind of freely. As I examined the dovetail cuts, I could see it was machined much closer to the bottom edge than the other plates I had. This causes it to rise away from the bottom of the clamp as it is tightened, and there is a limit to how far that the clamp on the tilt-head will close. I spent about a week trying to figure a way to solve this. I borrowed a plan from my old tripod heads and shimmed the bottom with duct tape. 1 layer did not quite fix, 2 layers did stop the slip, and a 3rd layer was added for insurance. Simple, effective, but ugly. This thing cost more than a simple clamp at $13 plus change. It is compact enough to keep in the pocket for when needed. But a $9 Neweer clamp that comes with a matching plate can also be adapted to do this by screwing the plate under the clamp with a 90-degree rotation. It's more bulky and a bit less secure, but can be done in a pinch of you don't have this item. Food for thought since this adapter has a small flaw with the dovetail cut.